A few days ago I posted about AT&T offering free wifi to iPhone owners at all its hotspots, including Starbucks and Barnes & Noble locations. Well, I guess they are not anymore! Many people reported today that the free wifi is not available anymore. This service has never been made official so maybe it was just a test or a way to create buzz? AT&T has declined to comment on this. 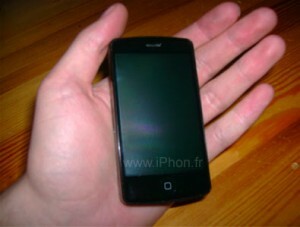 The folks at iPhon.fr posted some pictures of what could well be the new iPhone. They can’t guarantee whether these are actual pictures or fakes. What makes me doubt these are real pictures is how scratched up the rear of the unit appears to be. It’s a slick design though. Foxconn Electronics has reportedly landed orders for the assembly of second-generation iPhones from Apple supporting 3G, with shipments to begin in June this year, the Chinese-language Commercial Times has quoted sources at foreign institutional investors in Taipei as indicating. 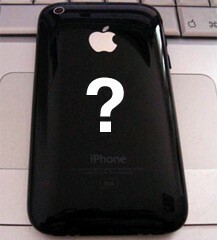 iPhone 2 – 3G and GPS but thicker! Engadget got the scoop (as usual!) about iPhone 2nd Generation.